I've combined shuffling, stacking/culling and dealing together into one book because I feel they are intrinsically related. It is the shuffling skills and techniques that give rise to the stacking and culling, thus I did not wish to repeat myself by explaining the shuffling techniques once for the sake of shuffling and again for culling and stacking. 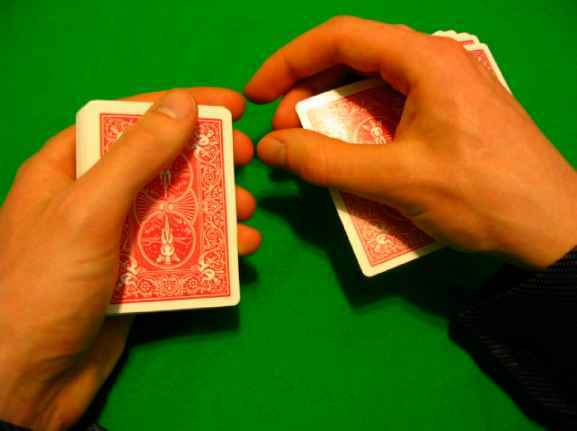 Likewise, the purpose of false dealing is often to be used in conjunction with various shuffling techniques. It makes sense then, especially in light of my own use, to combine the three together, though I realize it has made for an enormous text. 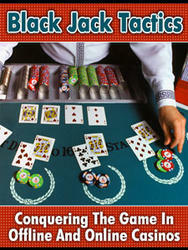 One must note, that none of these techniques, no matter how perfectly executed are sure, either to deceive, or to win a game, should the reader in question choose to use them to cheat. Rather, demeanor, strategy, psychology and numerous other factors bear upon the outcome overwhelmingly. Again, I must caution you to not merely work on the sleights themselves, but also the basic techniques, altering your basic handling, where necessary to conform with the false technique. A caution here, it would be fool hardy to merely focus on adapting the regular techniques to conform with the sleights, while ignoring the reality that the sleights, when possible should resemble standard card procedures. Further, I desire to again remind you, as I did in the beginning, that many points within this text are ignored where they are applicable simply because they are covered earlier and I did not wish to repeat myself. This is particularly applicable in the sections on dealing, where most of the details and ideas are covered under second dealing, and where I felt no need to add anything; I have left certain subjects uncovered. Along these lines, is the word of caution that on numerous occasions I have attempted, not to provide you with all possible variations, or techniques, but rather, introduce you to various lines of thought and at times develop those thoughts, in the hope that these will inspire ideas of your own. For the diligent student of card manipulation and control, you will note that much is missing from this text and certainly, it is not intended to be an encyclopedia on, shuffling, stacking, culling and dealing. I am well aware that much is absent and will remain absent until a later date, which is, in part, why I have listed additional sources of information at the end of each segment. Part of the trouble is, I find many of the techniques described becoming outdated almost as fast as I write them. I have, since writing the appropriate sections, replaced my use of virtually all false in the hand shuffles, with the Byzantine shuffle, some overhand cull variations now replace the ones I've described. The ace cutting here has fallen to a Scarne simulation method that allows the spectator to handle the deck in between your shuffle and the point at which you cut to the ace. The "Count's Riffle Shuffle System", is gradually being replaced by a slightly more advanced system, in order to make culling large numbers of cards easier or quicker, via such methods as two block culling, relocation culling, the third cull and others. Even in the area of dealing, the invisible deal is losing favor to the convincing deal and the illusion deal. However, were I to wait till these techniques had been refined and I could add nothing more to the text, the text should never be released and so as I finish a section, I resolve not to return to it, other ideas must be left for a later date. Continuing in this manner, while my statements of limited reading held true at the moment of writing, I have, since finishing the various portions, read "The Riffle Shuffle Systems", "The Patented Shuffle", "Seconds, Centers & Bottoms" and "Marlo's Magazine Volume 6", the later two, in particular the magazine being the most interesting to me personally, though I found they offered little revolutionary on the subjects I have covered here. For those interested, "The Riffle Shuffle Systems" covers block transfer, as it's most notable subject, and certainly a topic I feel I should cover at a later date. It was here that I discovered the version of the Zarrow shuffle, I taught in this volume, was not in fact the original Zarrow shuffle and that the center cut out I described is actually the original technique. In fact, I discovered that all my refinements have been previously used and described. I return then to the point, that cards are an old subject and well studied, that in all likelihood, while I have not learned many of the techniques described from the sources in question, many of these techniques have certainly been described elsewhere prior to this document, and I offer my congratulations and thanks to those who have contributed in these regards. This leaves me with the subject of combining the various fields of study within this manuscript. The most obvious use, is to combine simple culling with bottom dealing, but there are other ideas. For example, you could stack all cards except the top card and then use a second deal to distribute the cards appropriately, thus simplifying the stacking. Perhaps a more interesting possibility is one Marlo used in "Prime Time Marlo", where he starts with four aces on the top of the deck, then, in a four hand game, holds back the four aces with the one hand and three indifferent cards with the other, then drops three of the aces, followed by the three indifferent cards and then the last ace on top. Now, in order to deal the aces to the first player, he deals the first round fairly, followed by a double deal, then three seconds, and the last rounds fairly. Finally, should you make a mistake in your stacking and catch it at the end, you can solve the problem using false deals, most notably a bottom deal. For example, say you are one card short on the top of the deck when stacking the hands, it is a simple matter to bottom deal the first card, then deal as normal to correct your stack. These are just a few simple ideas, most of which, most of you will, I'm sure consider trite and mundane, but I felt bore mentioning.